Join us at our five annual PTA meetings, held on Wednesdays in the Hunter auditorium from 7 - 8:45 pm, with refreshments available in the auditorium lobby starting at 6:30 pm (food is not allowed in the auditorium, so please come early to eat). Pre-meetings, which can include committee and grade reps meetings, as well as meetings on specific topics, are held from 6-6:45 pm. One PTA meeting a year is held in Queens. 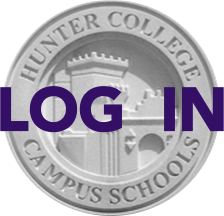 All parents are welcome, and we encourage you to send questions for speakers in advance to programming@hunterpta.org. Please also send your ideas for future meeting topics to the same email address. For notes from previous meetings, visit Past Meetings. Note: The PTA will supply minivan transportation to a main subway/bus stop in Flushing, Queens, following each meeting. If you need this transportation please RSVP to Bus Coordinator Xun Lei at bus@hunterpta.org by 12 noon the day before the meeting. September 26, 2018: Principal Dr. Fisher began the evening with a welcome to all. Lisa Siegmann, Acting Director, is happy to be here to help students access the many wonderful opportunities that Hunter offers. November 14, 2018: Ty Tashiro, psychologist and author of AWKWARD: The Science of Why We're Socially Awkward & Why That's Awesome, will be the featured guest.